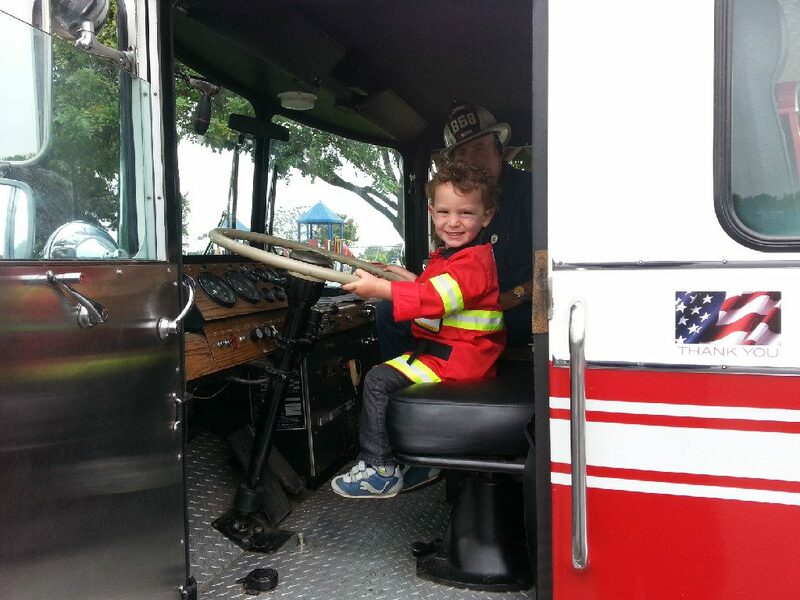 You don’t need a Birthday to have a fire truck at your event! Peggy has invited Smokey’s to 3 of her events, to help celebrate 4th of July and Halloween! Thanks Peggy! Smokey’s was at San Clemente High School for Homecoming with the girls volleyball team! Every year for the last 8 years Smokey’s fire trucks have been at the Caruso Family 4th of July Parade. This year was no different. 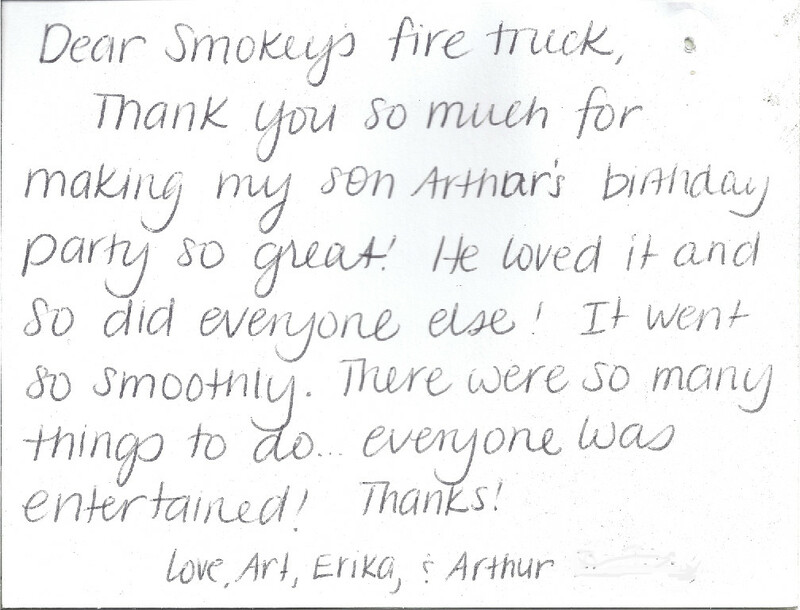 Thank you for allowing Smokey’s to be part of the fun. At the end of a busy week with several birthday parties and a car show, Smokey’s spent Sunday filming a commercial for FUNNYORDIE.COM. Looks like it will be really funny! This was a first for Smokey’s, driving the fire truck on a golf course! Smokey’s was invited to the Shady Canyon Car Show and Porsche 42nd Concours’d Elegance on Saturday. 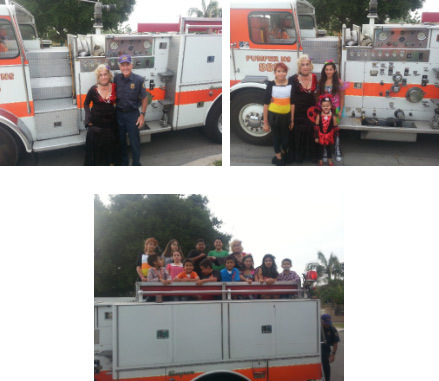 Kids got to climb on the fire truck, try on the turnouts and take pictures with Smokey! Very fun day, parked on the golf course next to million dollar cars! Thanks to the Northwood Homeowner’s Association for having Smokey’s as part of their annual Spring Celebration! Smokey’s was so popular that we had 2 trucks giving rides for 2 hours and we had lines the whole time! Just wanted to say thank you for a fantastic event. The kids loved it. Cole has been talking about it nonstop. It was the perfect birthday party. Thanks for making it so memorable. This was the best party! Even the adults had a great time. I think my husband was more excited then my son. We will be calling for next year. What a great party, everyone had a great time and enjoyed the rides. Awesome party! Thank-you so much. The birthday boy may not remember it, but we got plenty of photos. The rides were the best, great party. Worth the money. 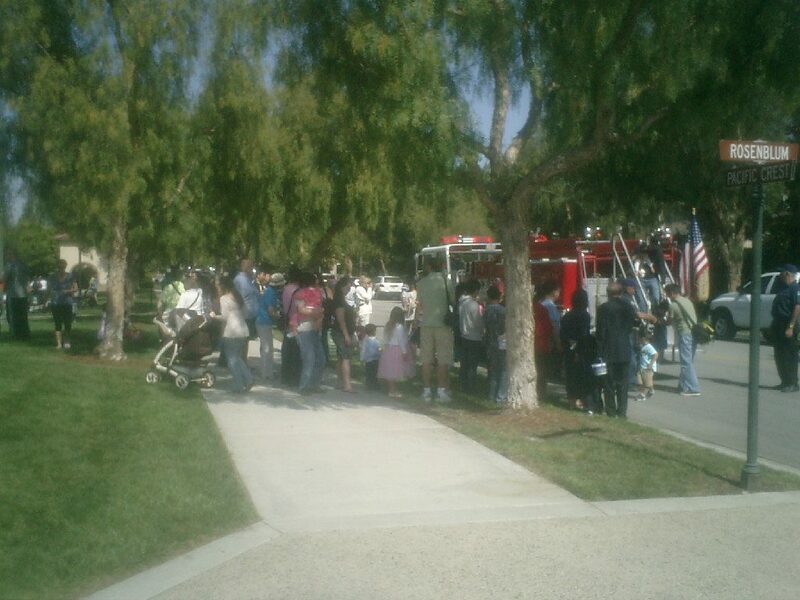 Thank-you so much, my husband really enjoyed the fire truck and everyone enjoyed the rides!!! You were the hit of the party.